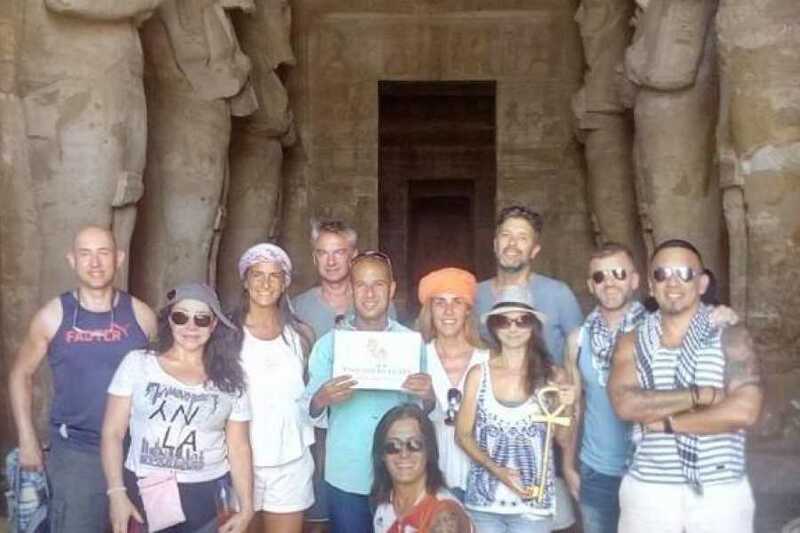 Day tour to Abu Simbel Temple from Cairo Starts at 3:00 am with pick you up from your hotel in Cairo and drive to Cairo airport to take the internal Flight to Aswan that takes off at 5:00 am reaches Aswan at 6:30 am meet by our guide who will greet you with a sign shows your name on it then transfer in Private A/C Vehicle to Abu Simbel where it`s 3 hours drive arrival TO Abu Simbel enjoy your visit with our guide to Abu Simbel Temple Then drive Back to Aswan airport to take your Flight back to Cairo. Starts At 3:00 am Our Local Representative will pick you up from your hotel in Cairo or Giza and drive to Cairo airport to take your Flight to Aswan that takes off at 5:00 am reaches Aswan at 6:30 am meet by our guide who will greet you with a sign shows your name then transfer to the south of Aswan which is around 3hrs drive to enjoy Abu Simbel day tour from Aswan by a private air-conditioned vehicle.The two Temples of Abu Simbel, with their unique style, are considered to be the masterpieces of ancient Egypt. Return back to Aswan airport to take your Flight Back to Cairo.arrival Cairo meet by Our Local Representative outside the terminal at the sreet exit gate and transfer to your hotel in Cairo.